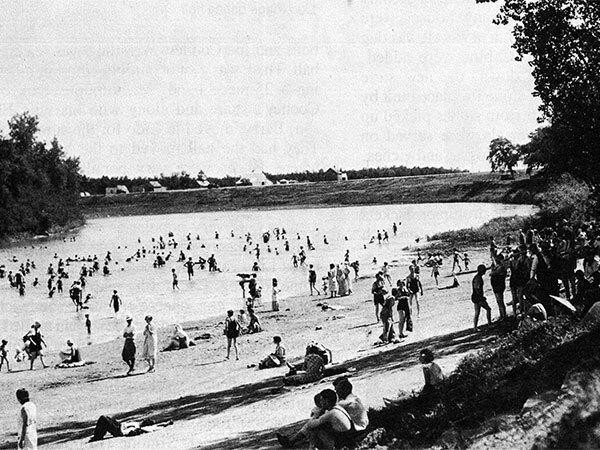 A 16-acre site along the Assiniboine River, west of Headingley in the Rural Municipality of Cartier, was once occupied by a summer resort. Established around 1931, by the time it closed in 1953, there were picnic tables, toilets, dressing rooms, eleven cabins, a dance hall, dining hall, and restaurant. The land was subdivided and private residences were built here. Elie East topographic map, 62H/13 East, Edition 2, Series A743 [UFS Reference Collection]. “Humble beginnings of Lido Plage,” The Headliner, 10 March 2013.